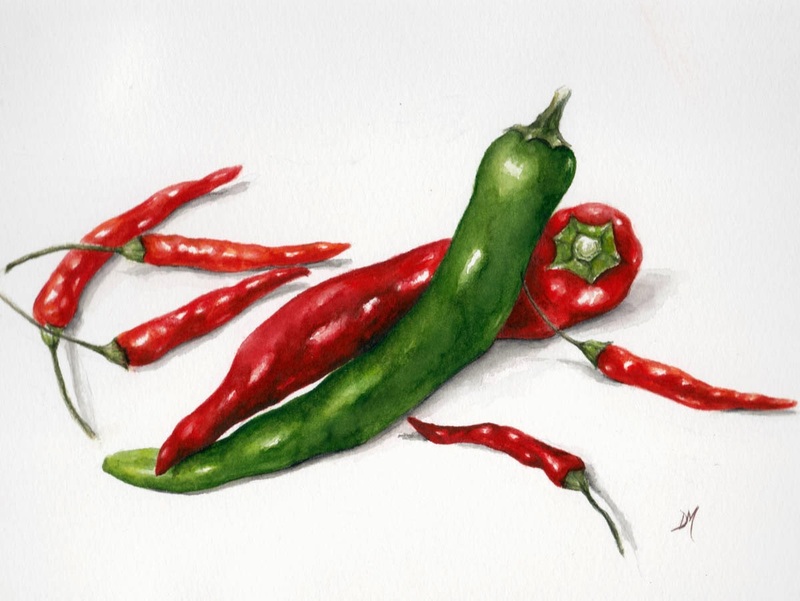 Sorry, I've been neglecting my blog recently...here are some more chilli peppers. Getting ready for a small exhibition on Lamma with a few fellow Lamma artists, details to follow. Oh that sounds interesting, I can't wait to hear more about it. I've been working on chili peppers too! Aren't the saturated colors marvelous? I like how you've scattered them across the paper, and captured the sheen and deep colors.